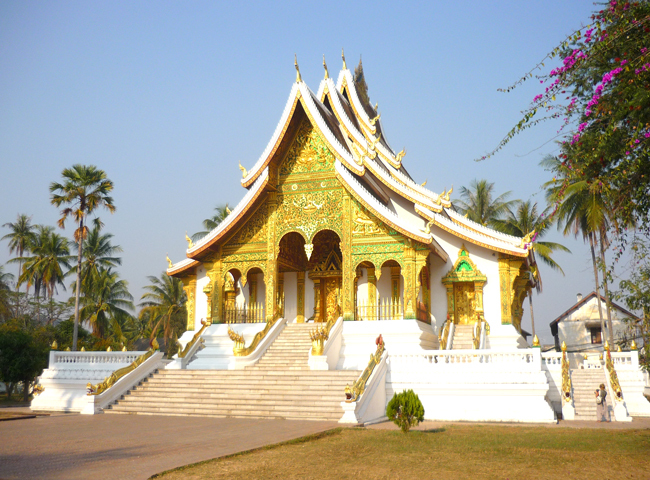 The famous UNESCO World Heritage listed-town of Luang Prabang is Laos’ prime tourist destination, the town is a beautiful mix of gilded wats (temples), saffron-clad monks, faded Indochinese villas and beautiful river scenery. Buffalo Joe, one of our colleagues, has recently discovered this amazing town as a visitor. He is introducing his itinerary for Luang Prabang in two days, hope it helps build up the list of what you can do while touring in Laos. 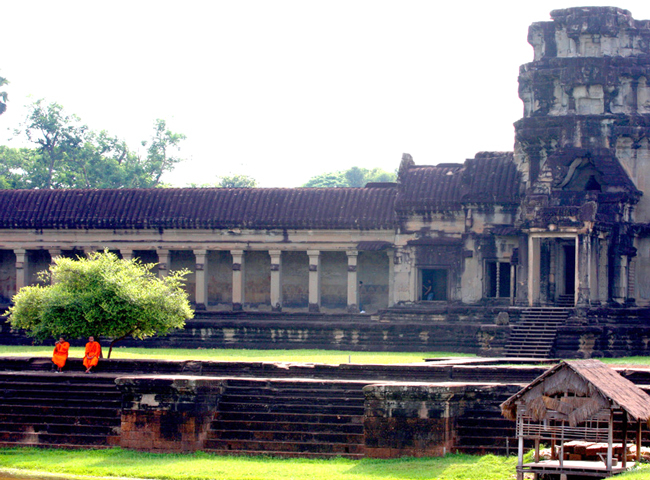 The Kingdom of Cambodia, once part of the French Indochina, is bordered by Vietnam to the east, Laos to the northeast, and the Gulf of Thailand to the southwest. Cambodia appears on the tourist map as a Khmer nation with an intriguing past and an emerging future, it offers the mystery of the Khmer civilization, the regal eras of its kings, and the interesting layers of French influences. Located in the heart of the Indochinese peninsula of mainland Southeast Asia, Laos borders Cambodia to the southwest, Vietnam to the east, Thailand to the west, China and Myanmar to the north and northwest. 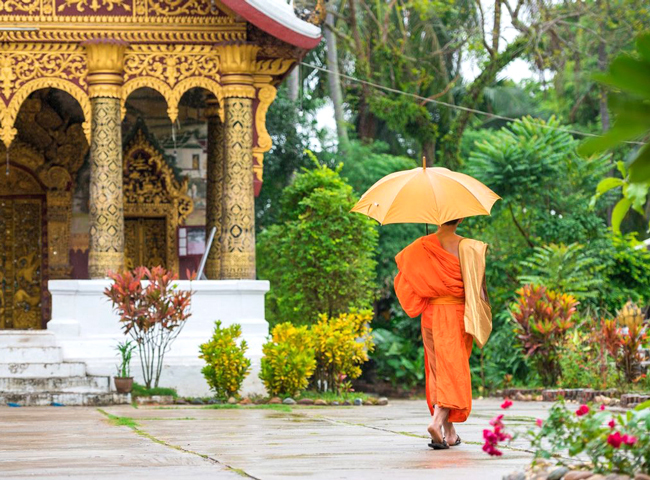 This landlocked country holds tight to its Buddhist tradition, Laotians live each day gracefully and peacefully with a pleasant and laid-back attitude. 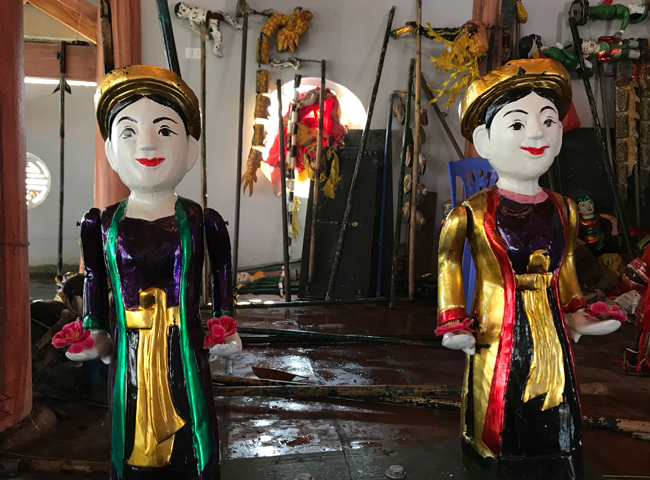 While handheld puppets, sock puppets and finger puppets have been delighting audiences around the world, the Vietnamese have enjoyed their unique water puppetry (called Múa Rối Nước) for many centuries. The literal translation of Múa Rối Nước is “making puppets dance on water”. They certainly do, wooden-lacquered puppets appear to gracefully swim, glide and dive through water in an amazing aquatic show. Located in northern Vietnam, Cao Bang is a mountainous province and it is most famous for the best “mien dong” (canna vermicelli), which is used throughout the country to make dishes related to “mien” (cellophane noodles). As the rhizomes of the canna are full of starch, it can be used like an alternative choice to replace steamed rice. 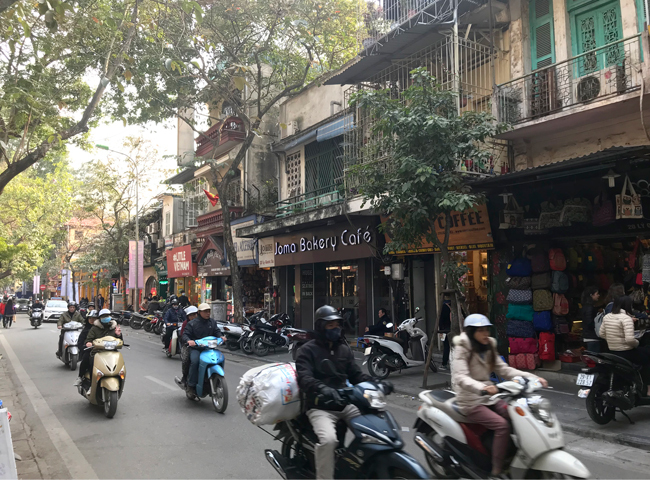 The vibrant and bustling city of Hanoi has found its future by appreciating its thousand years of history, we can see that all in its Old Quarter. Located in the northern part of the city center, the Old Quarter, or the 36-old-streets, is a traditional craft area where each street was named after the product it sells such as the silk street, bamboo street, noodle street and many other household-product streets. Located right in the heart of the Red River Delta, Hanoi is a sprawling city with lively Old Quarter and graceful colonial architecture. Been the capital of Vietnam since 1010AD, this charming city boasts an amazing blend of Indo-Chinese and French colonial influences. 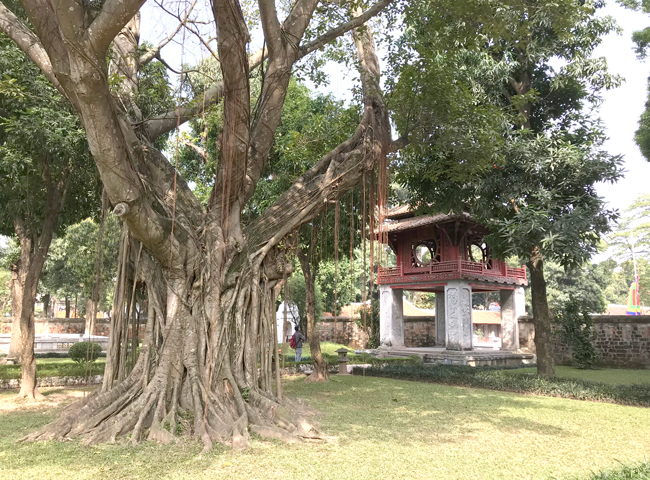 The modern-day Hanoi is a mix of ancient temples and pagodas, parks and lakes, broad tree-lined boulevards and narrow food alleyways. Incense Travel introduces some of the city’s best highlights. 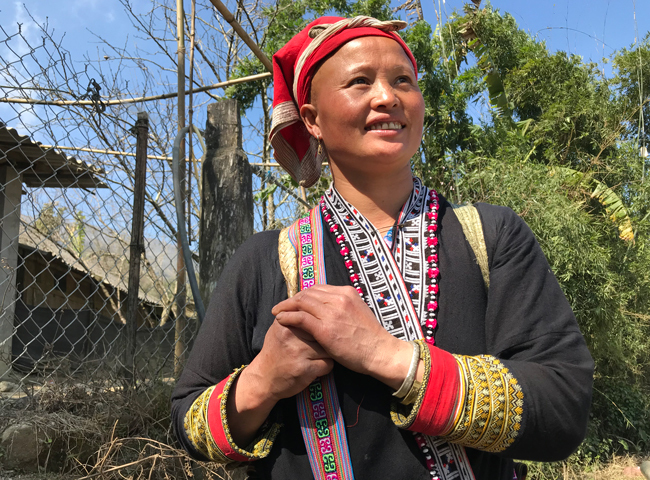 One of the best rewards when visiting Sapa, a former French’s hill station in northern Vietnam, is the opportunity to interact with the local hill tribes. Living in small and humble villages locating along the mountain trails, the H’mong and Red Dao people are among the most popular ethnic minorities in the area. For Incense Travel advisor Buffalo Joe, their costume techniques is still the most amazing thing, that make the local ethnic attracting gems of the mountains north. In the summer of 1901, the Grand Hotel Metropole Palace opened its doors to the curious population of Hanoi. In its first ever published picture, the hotel shows the proudly flying the French tricolor and sporting the initials HM in a rosette at the top of the central section. 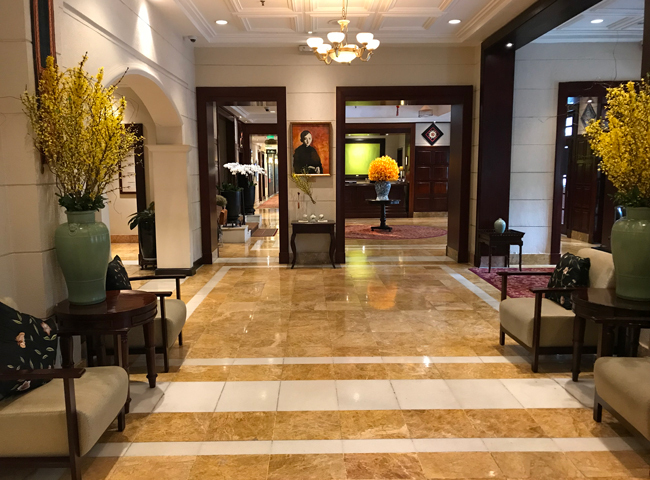 From that summer on, travellers had the best luxury hotel in Hanoi. Incense Travel introduces the literature of Mr. Andreas Augustin, who is author of over 50 books about famous and legendary hotels. 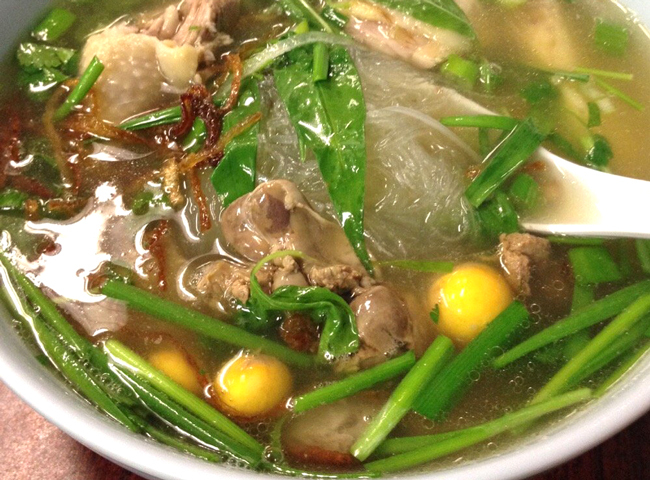 Known as the best heathy and tasty food in the region, true Vietnamese food has a very distinctive character. Instead of soya sauce, there is the universal use of nuoc mam - a very pungent fish sauce, though not all Vietnamese food tastes of fish. 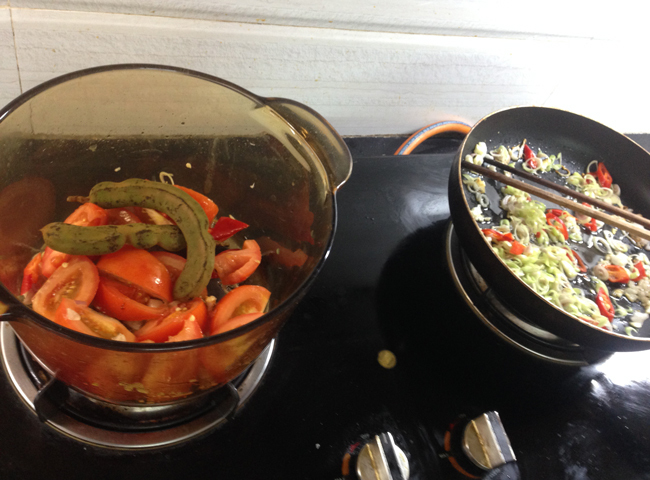 There are generous amounts of ingredients such as garlic, tiny minced fresh chili, lime, rice vinegar, basil and coriander being added to their fish sauce, which make the characters of the Vietnamese food.